Sami’s limited influence in state processes has caused all mining operations on Sami land to be appealed recently. 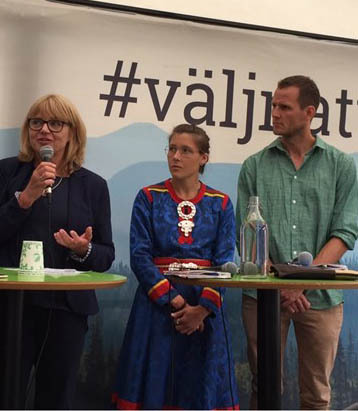 Rasmus Kløcker Larsen, REXSAC researcher at Stockholm Environment Institute was interviewed at Almedalen, the world’s large political event held during the first week in July on the island of Gotland, Sweden. For Swedish speakers, please find the interview with Rasmus by Swedish Radio here.